Covenant of apostles worshipping the ancient dragons. They seek Dragon Scales scattered across the world and present them to the sole surviving descendant of the Everlasting Dragons for the purpose of transcending life itself, supposedly attainable by transforming into an ancient dragon. This covenant is mostly useful for collecting Dragon Scales to upgrade dragon weapons while enjoying PvP duels, and for obtaining and strengthening unique dragon metamorphosis items. Members are provided with a PvP item that allows them to challenge other players to duels, with Dragon Scales being awarded to the winner. There are no requirements for joining. Challenge other players online by sending Dragon Soul Signs to their worlds with the Dragon Eye. If they accept, they can use the sign to summon you into their world for PvP. The winner gets a Dragon Scale and souls as reward. Access to dragonoid metamorphosis items Dragon Head Stone and Dragon Torso Stone. See their pages for details. Players do not lose any Dragon Scales when duelling against other members of this covenant. When defeated in a duel as a guest, players are returned to the last bonfire rested at with all their souls, humanities, and human form unchanged, defeated hosts die and will respawn at the bonfire last rested at. In the case of a tie, both players are rewarded a Dragon Scale. If an invasion is won, the host has the option for indictment, even though they willingly summoned the invader for a duel. 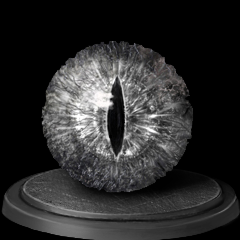 When other players are being invaded by a member of this covenant, they won't lose any Dragon Scales in case of defeat. When non-members of this covenant win against a member, they will be awarded a Dragon Scale. Upper Undead Burg, bonfire area near male Undead Merchant.